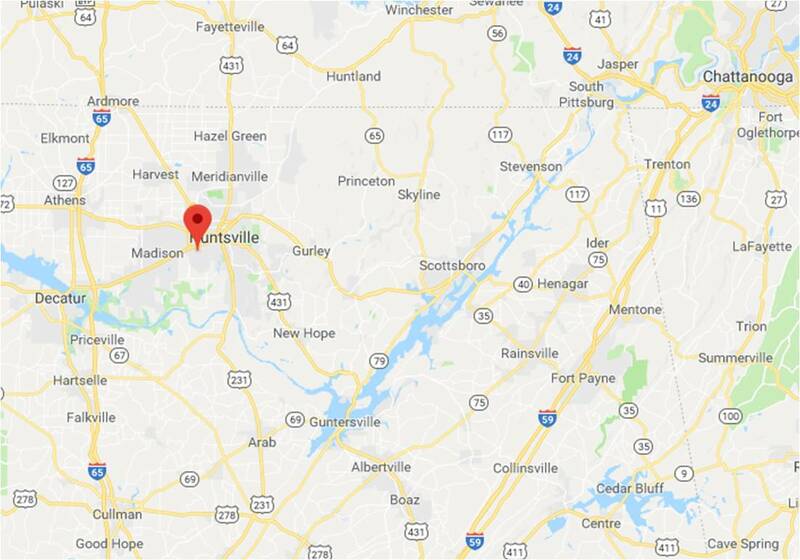 As we were planning our route from Florida to Washington State I noticed that we would be traveling close to Branson, MO. I had heard stories from my dad about his visits to Branson and we decided that would be a great place to spend some time. 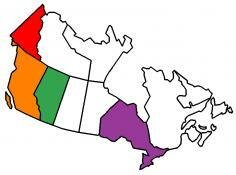 We often select campgrounds by going to Google Maps and searching for campgrounds in the area. 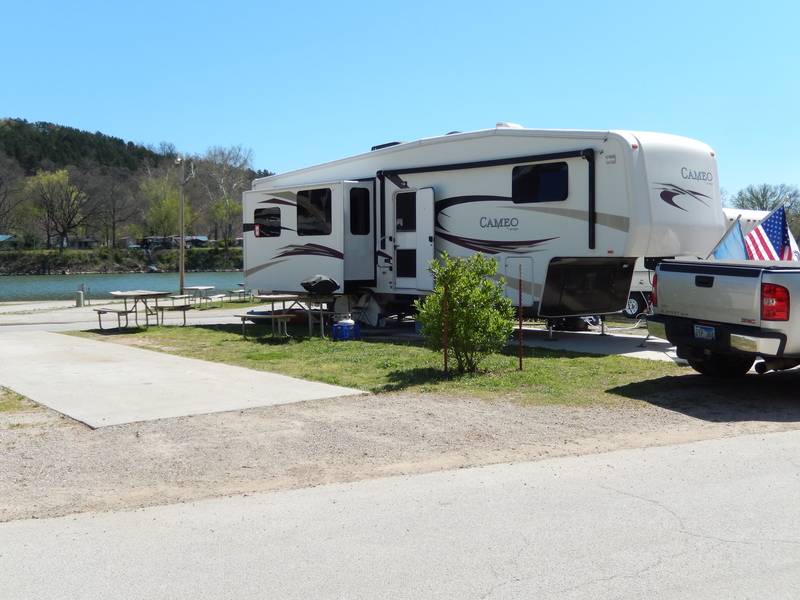 One of the first campgrounds we spotted was the Branson Lakeside RV Park. After looking at several others we decided Branson Lakeside was the one for us. I don’t think we could have made a better choice. Lakeside RV Park is right on Taneycomo Lake which gave us a lovely view through our picture window every morning. 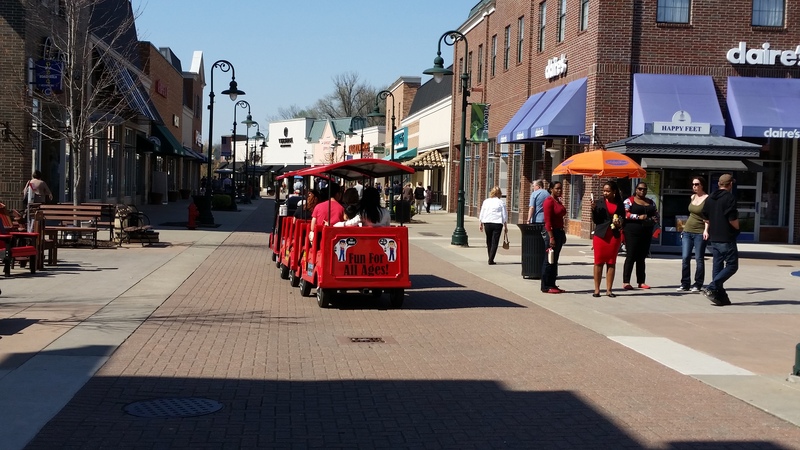 The Branson Landing Shopping area was a short walk along a paved path from the campground. They offer free WIFI and free coffee every morning. Based on the weather forecast we expected to pack up in the rain when we left Little Rock, but we managed to beat the storm. We drove through some rainy weather but it was dry when we arrived in Branson. When we checked in, we were advised that a storm was on its way so we wasted no time in getting set up. It was a good thing because just as we finished it started to rain. It rained hard but it didn’t last very long. After dinner we wandered through Branson Landing, exploring the shops. One of the places we stopped was Missouri Mountain Moonshine and we did some sampling. They had a variety of flavors and it was probably a good thing we weren’t driving back to our trailer! 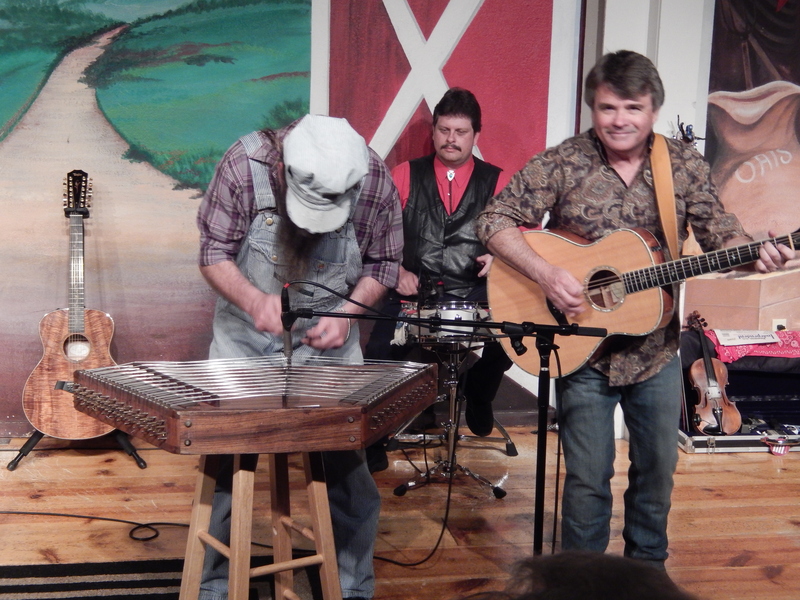 Thursday morning our first show was “A Tribute to John Denver” at the Lil Opry Theater. James Garrett did a great job. As he said in his introduction, he doesn’t look or sound like John Denver, but he knew John Denver personally. As a longtime John Denver fan I loved the show and the audience was invited to sing along. What I enjoyed the most was hearing to back story on many of John’s songs – how they were inspired and written. Hearing the personal stories about John Denver, what guitars he played, how he played, was just great. Our next show that afternoon was the “Carpenters Once More,” a tribute to Richard and Karen Carpenter, at the Owens Theater. This brother and sister team was another one of my favorites while growing up. The Carpenters career was cut short when Karen Carpenter died at 32 years old. 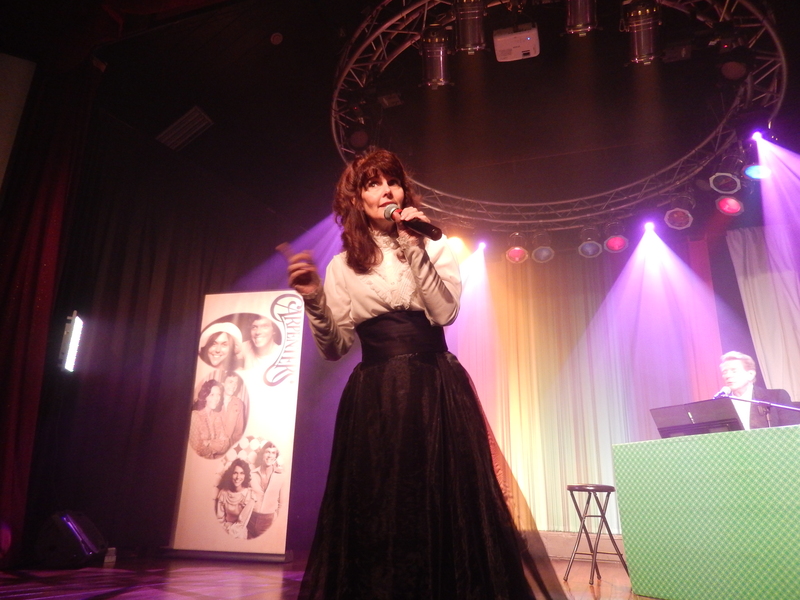 Diana Lynn filled the role of Karen Carpenter in the performance. She looked as I imagine Karen would have looked later in life and she sounded so much like Karen that we could have been listening to a recording. As with the Tribute to John Denver, we were treated to the inspiration for their songs and how the songs were developed. An interesting fact was that Karen Carpenter started out as a drummer and became the lead singer as a result of the desires of her fans. Friday morning we were back at the Owns Theater. 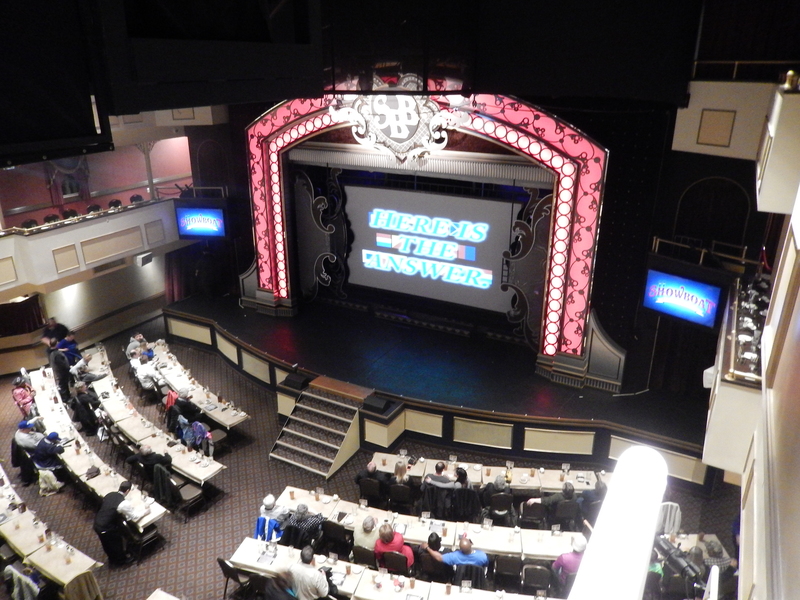 The Owens Theater is the oldest theater in Branson. 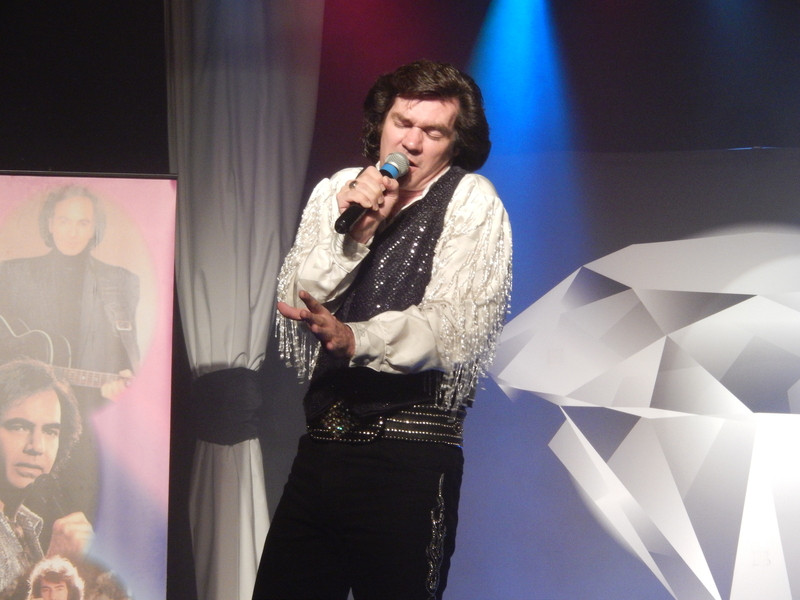 This time we were entertained by the “Neil Diamond Tribute.” Keith Allynn looked like a young Neil Diamond and, like the Carpenters, it was like listening to a recording. He was a great entertainer and I was reminded of the Neil Diamond performances I had seen when I was younger. Again, one of the best parts of the show was hearing the back story of the music. Later that day we attended the show at the Steamboat Branson Belle. As opposed to everything we had seen so far, this was not a tribute to any singer, but an original show featuring a variety of performers. The Branson Belle traveled around Table Rock Lake during the show. If we had to do it again, we would have attended an earlier show – because it was night we couldn’t see anything of the sights along the shore. In between acts we were served a very good meal. I was pleasantly surprised by the quality of the meal. Mass produced meals are typically not great, but this was a definite exception to that rule. The emcee was an entertaining comedian and magician. The acts included singers and dancers, including some clog dancers (a sort of Irish dancing). We had a great evening! Saturday was a day for exploring. 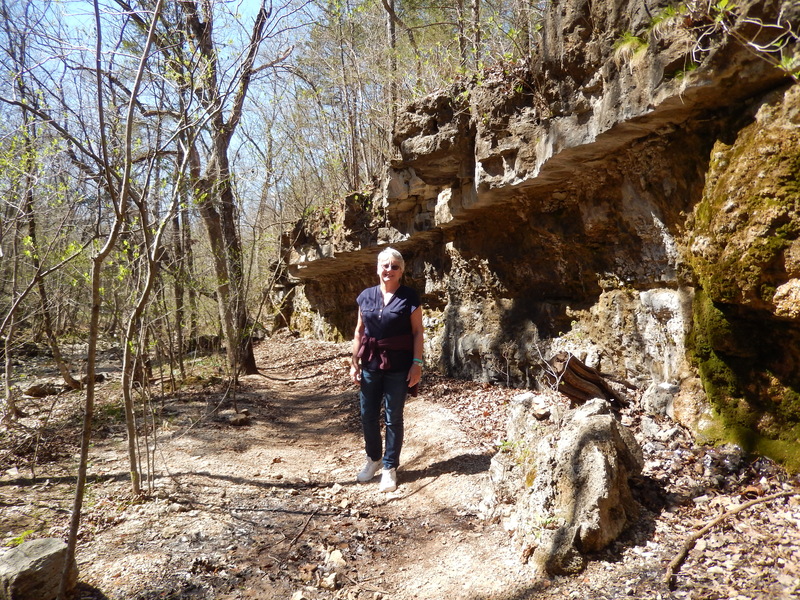 We found a hiking trail the City of Branson had established near the Westgate Resort. It was a nice change of pace to hike a short trail instead of sitting in a theater. 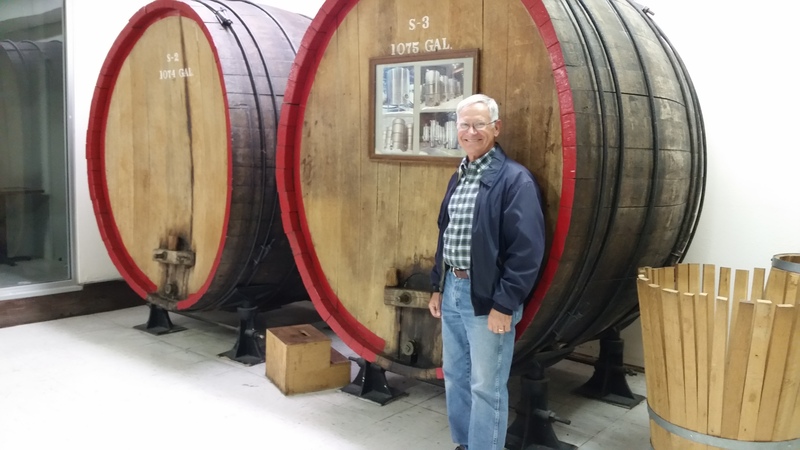 We also checked out a couple of wineries in the area. After tours and tastings we had added to our wine collection. 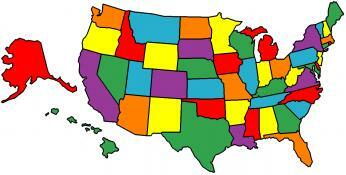 An interesting fact that many don’t know is that Missouri was once the largest producer of wine in the country. However Prohibition destroyed the industry and it never recovered. Sunday afternoon we went kayaking on Taneycomo Lake. They call it a lake because it is the headwaters for the Powersite Dam, but it is downstream from the Table Rock Dam and has a steady current. The current is even faster when the Table Rock Dam releases water to run the turbines to generate electrical power. It looks like a river, acts like a river, so I’m going to call it a river. We arranged with White River Kayaking to ferry us, with our kayaks, upstream so we could paddle downstream to the campground. They were wonderful. They picked us up at our trailer, helped load our kayaks, and dropped us off at a perfect spot. 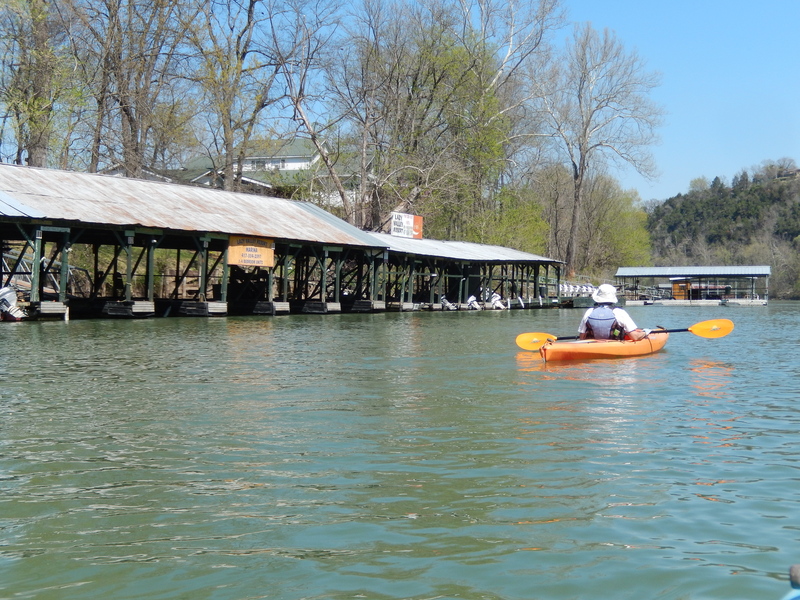 If you’re visiting the Branson area and want to do something other than attend shows, I suggest you consider White River Kayaking as an option. Along the river we saw many small resorts with their own marinas. 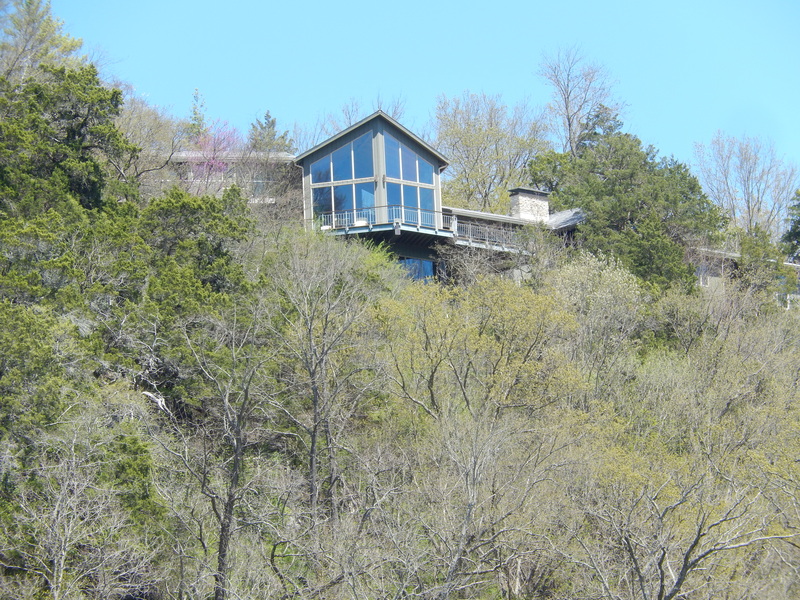 There were some really awesome homes on the cliffs above the river. 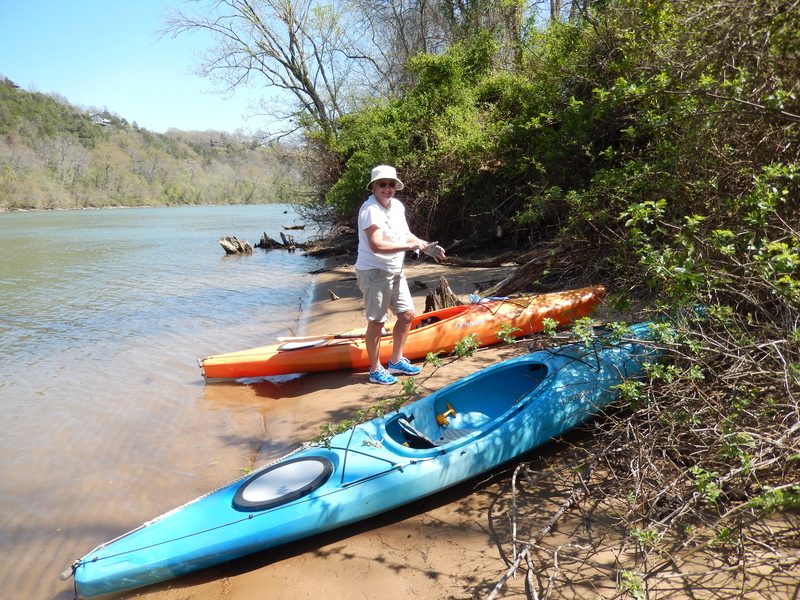 We stopped on a small, sandy beach for a light lunch, then paddled to the campground and beached our kayaks within an easy walk from our trailer. What a great way to enjoy the river! Monday morning we saw the Best of Neil Sedaka at the God and Country Theater. I thought the other tribute shows were better, but then I was more of fan of the others than Neil Sedaka, and that may have affected my opinion. 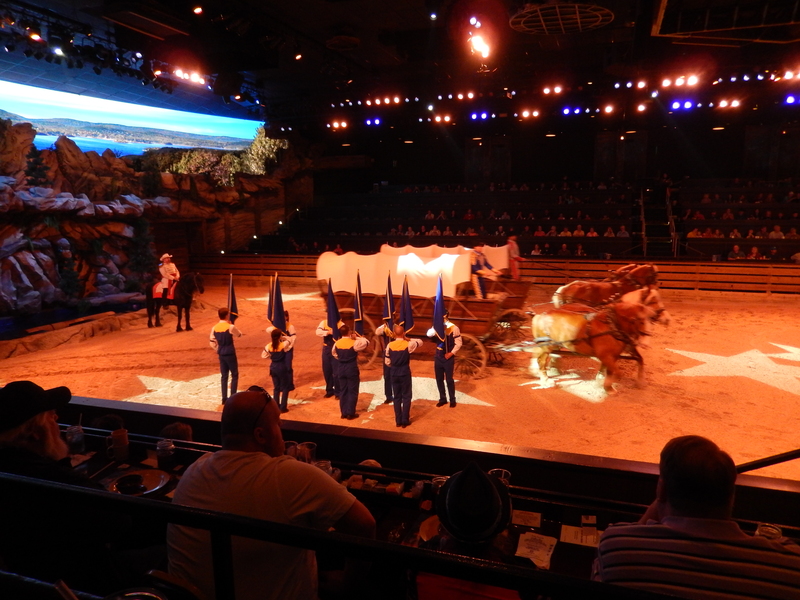 Late that afternoon we went to the Dolly Parton Dixie Stampede. This is a great show! The preshow featured a juggler/magician/comedian who didn’t need to use foul language to make us laugh. 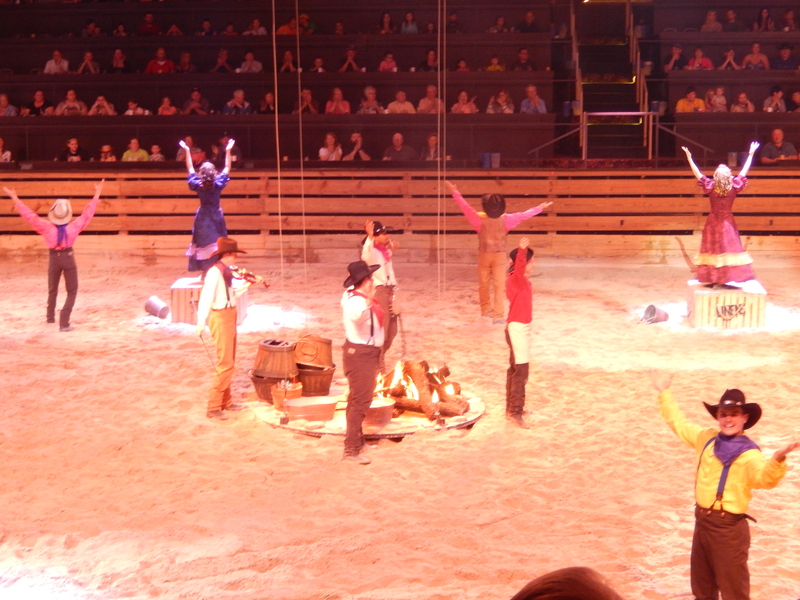 In the main theater we were entertained with a show of horsemanship that was fabulous. The theater is divided into North and South and our “teams” on the stage competed against each other with everyone cheering them on. Dinner was served during the performance. We had soup, Cornish hens, pork loin, baked potato, corn on the cob, and apple turnovers. The trick was we had no utensils and had to eat everything with our bare hands! The food was delicious and they did distribute wipes to clean our hands before we left. Tuesday was spent relaxing and packing to travel. 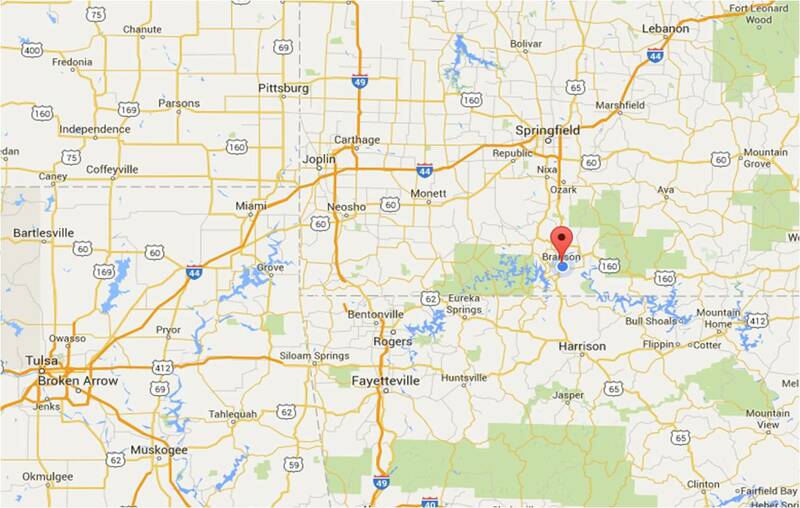 Wednesday, April 6th we left Branson enroute to the Tulsa, OK area. 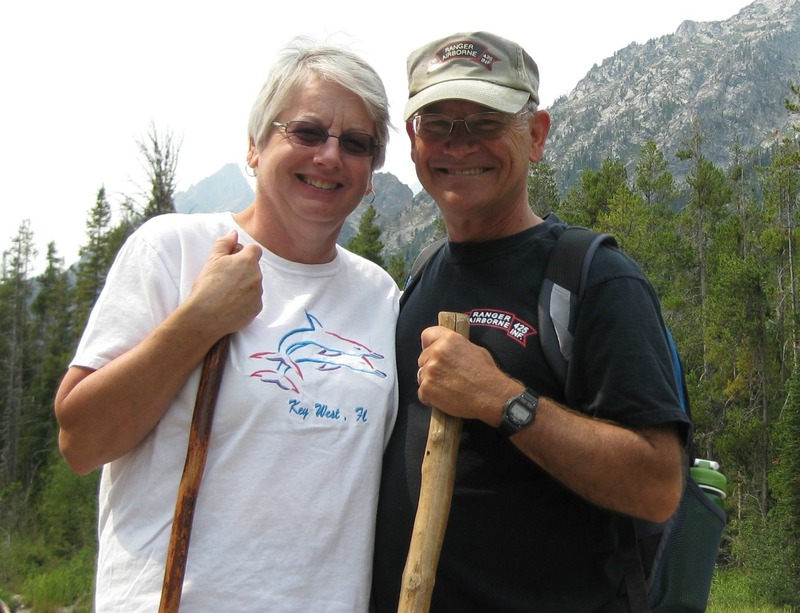 This entry was posted in Fulltime RV, Michigan Traveler, Missouri and tagged Branson Belle, Carpenters Once More, Dixie Stampede, fifth wheel trailer, full-time RV, fulltime RV, Kayaking, Michigan Traveler, Ownes Theater, RV Forums, Tribute to John Denver. Bookmark the permalink. Branson is a great place, also wonderfully relaxing! Enjoy! We enjoyed Branson back in 1992, and we need to get back there, Bob. Sounds like you and Pat did it right! I’m chuckling at your first three tributes, as we probably both were at the same shows at Pine Knob in the 70’s. :). Karen Carpenter was amazing…and I do remember her drumming abilities. Great post which confirms we need to plan a visit. We also have similar tastes in music, as we would most likely attend the same or similar shows.